Our Trommel sluice showing a lot of Gold Flakes in it. This is our Stampmill that crushes the Gold Bearing Quartz. 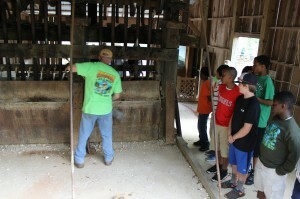 The Crushed ore is then put thru the Trommel. 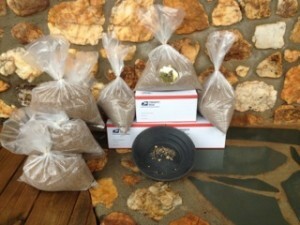 This is our Gold ore concentrated to 1 gallon. We have several options to choose from. This gets you the most Gold for your Money. Our Gold concentrates come from a open pit hard rock mine in the North Ga. Mountains. We dig quartz rock out of our pit, then run it trough our Stampmill to crush it into sand. That material is then run through our Trommels and then what is left in the sluice box is what makes our concentrates. We don’t take gold out or add Gold into the dirt! 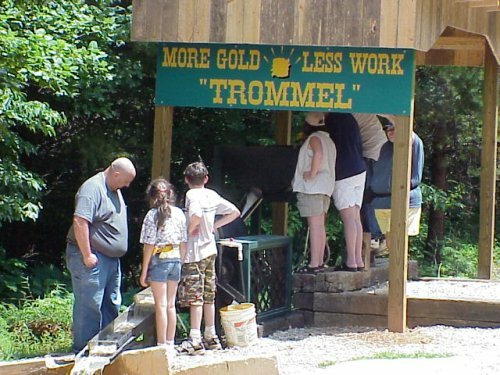 Gold was first discovered at our mine in 1847. We have been open to the public since 1969. We’ve been selling our ore in the G.P.A.A. Magazine for several years before all the others started, with great success. We have alot of repeat orders from happy customers. Click here to see our Happy Customers! We can ship as many as you would like. We ship them in the flat rate shipping boxes that is used by the U.S.P.S. so the shipping is very reasonable. You can order them from our online shopping or you can call us we will be glad to take care of your order! Click Here To Order!! This is 15 gallons of our ore concentrated to 1 gallon. 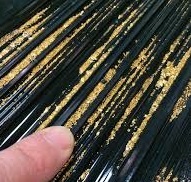 Gold concentrates come from a open pit hard rock mine in the North Ga. Mountains. We dig quartz rock out of our pit mine, then run it trough our Stampmill to crush it into sand. That material is then ran through our Trommels and that is how we make our concentrates. . You will get one of the 1 gallon bags for the cost of $45.00 each. This is 30 gallons of our ore concentrated to 1 gallon. Gold concentrates come from a open pit hard rock mine in the North Ga. Mountains. We dig quartz rock out of our pit mine, then run it trough our Stampmill to crush it into sand. That material is then ran through our Trommels and that is how we make our concentrates. You will get one of the 1 gallon bags for the cost of $85.00 each. This is 75 gallons of our ore concentrated to 1 gallon. Gold concentrates come from a open pit hard rock mine in the North Ga. Mountains. We dig quartz rock out of our pit mine, then run it trough our Stampmill to crush it into sand. That material is then ran through our Trommels and that is how we make our concentrates. . You will get one of the 1 gallon bags for the cost of $165.00 each. This guarantees you will find Gold Nuggets. This is 75 gallons of our ore concentrated to 1 gallon. Then we add Gold Nuggets to this one. Our Gold concentrates come from a open pit hard rock mine in the North Ga. Mountains. You will receive one of the 1 gallon bags for $325.00 each. You are Guaranteed Nuggets!